An aircooled Porsche 911 will turn heads and raise eyebrows where ever you take it, so why not get a nice one that will be fun to drive? The 964 generation bridges the gap between the earlier cantankerous and slow 911 "classic" and the uber-expensive 993 in terms of price, performance and comfort. 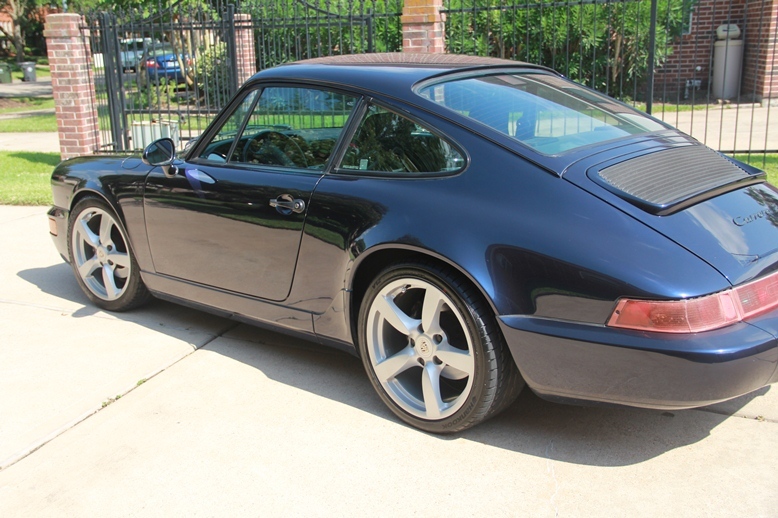 Find this 1992 Porsche 911 Carrera 2 964 for sale in Sugar Land, TX for $17,500 via pelicanparts forums. Tip from RJC. 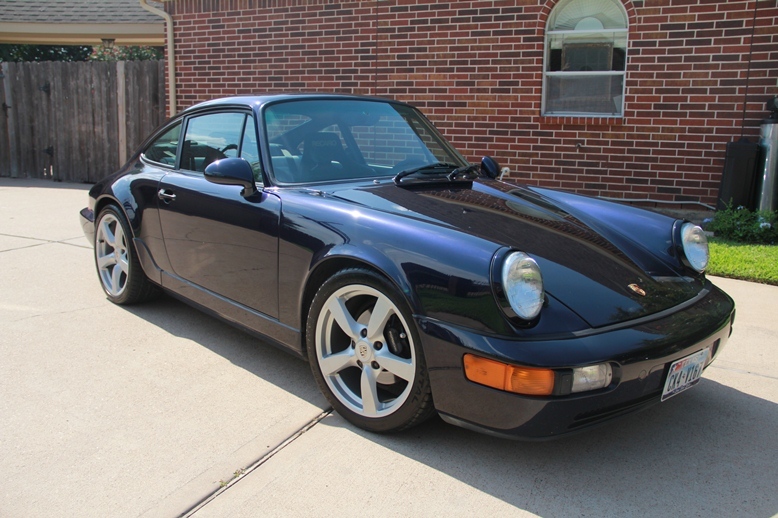 This 964 C2 has had some alterations and rides on modern rolling stock, has Recaro seats and pull-cord doors...but...it pulls it off. The mileage is a bit on the high side (175k) but with regular maintenance the old 911 aircooled engines will last for decades. This feature is part of Daily Turismo's birthday celebration of 50 cars in 24 hours.